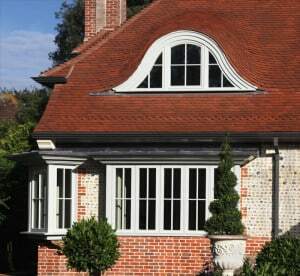 The correct installation of windows and doors is essential to ensure their optimum performance. We recommend Green Building Store’s own in-house fitting service, which works across the UK. Our fitting service is accredited with FENSA. FENSA is the largest and longest established certification scheme for replacement* windows, doors, roof windows and roof lights in England and Wales against the relevant Building Regulations. In addition to our own warranties, our FENSA accreditation means that when you use our fitting service you receive a HomePro insurance-backed guarantee. 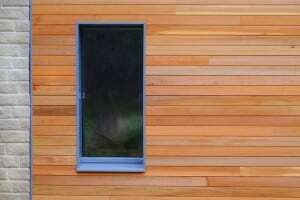 This is applicable whether the windows are for a newbuild or retrofit project. The HomePro insurance protects you if Green Building Store ceases to trade (as defined in its policy) and is unable to either complete the work or honour the terms of the guarantee given to you on the completed work. Personal service: We pride ourselves on our attentive and personal approach supporting customers throughout the installation process. Comprehensive site survey: On receipt of your deposit (or survey fee) our site surveyor will visit your home a undertake a detailed survey to accurately measure all relevant door and window openings. We can also discuss any design options and can bring colour swatches and glazing samples. Expert installation: Our installers will install our windows and doors to the highest industry standards to ensure their optimal performance. We aim to ensure your project is completed with minimal disruption and inconvenience to you. 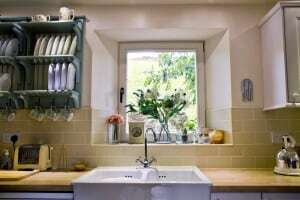 For existing homes we will take out old windows and dispose of them and take care to make good works internally to an agreed standard. For newbuild projects we will install new windows/ doorsets into openings pre-prepared by others. Expertise and knowledge: All members of our fitting team are qualified joiners with FENSA accreditation and NVQ level 2 in Fenestration. 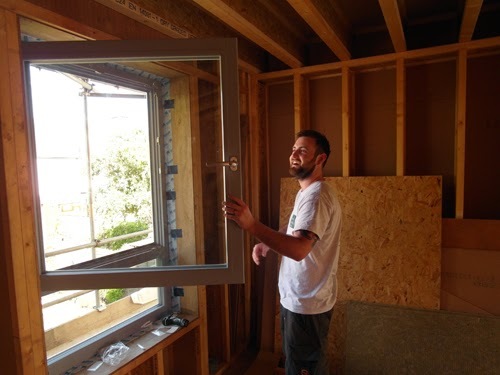 They are also experienced at working in Passivhaus and low energy projects and can offer specialist measures around window installation as an additional optional.service, if required. Minimal disruption: The fitting team are all direct employees of Green Building Store, not sub-contractors, which helps to make the process more personal and joined up. The team are always personable, courteous and sensitive to the needs of the household. We aim to ensure minimal disruption to your home: e.g. the team will tidy up at the end of each day on site, including vacuuming inside and sweeping up outside. Responsive after sales support: We offer a comprehensive after sales service following installation of our windows and doors. This means that we are on hand should any issues arise to ensure everything is performing as desired. We are always only a phone call away! The fitting team were fantastic: polite, flexible, professional craftsmen. They’re the first team I’ve been happy to leave in the house by themselves whilst I was out. The fitting team were on site with the goods, they completed the task with the usual professionalism and cheerfulness and they left. Job done. The obvious pride your guys take in their work, was a joy to see. Thank you all so much for your care, understanding and professionalism. Your helpful and friendly fitting team have restored our faith in human nature. Many thanks – it was a pleasure to have them working here.